Below you can view all the townhouses for sale in the Heritage At Roswell subdivision located in Roswell Georgia. 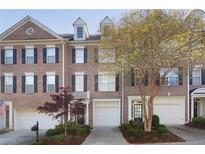 Listings in Heritage At Roswell are updated daily from data we receive from the Atlanta multiple listing service. To learn more about any of these townhouses or to receive custom notifications when a new property is listed for sale in Heritage At Roswell, give us a call at 404-998-4017. Weekends Are Spent Leisurely On The Sunny Back Porch, Actively On The Nature Trails/In The Lap Pool, Or Shopping/Dining Just Beyond The Front Gate. This Is Real Living! MLS#6541201. Real Living Georgia Life Realty. Lovely Setting. What'S Not To Love?? ? MLS#6539412. Solid Source Realty, Inc.. Unfinished Basement W/Hvac & Plumbing & Ready To Finish Your 3rd Bedroom On Main! MLS#6535930. Re/Max Unlimited. Active, Friendly Community With Pool, Tennis, Fitness, Lake, Walking Trail. MLS#6532668. Keller Williams Rlty Consultants. Finished Terrace Level With Full Bath And 4Th Bedroom Adds Flexibility To Family Living In-Laws, Teenagers, Media Room, Etc. Great Schools And Amenities. MLS#6531084. Potts Realty Inc..
End Unit W/ Extra Parking Right Outside And Common Area Across! MLS#6523969. Solid Source Realty, Inc..
2 Laundry Rooms! Home In Fantastic Condition! MLS#6522475. Village Realty. The Wonderful Neighborhood Includes Great Schools, Two Pools, Tennis Courts, Walking Trails, And Clubhouse With Fitness Center. MLS#6520981. Realty One Group Edge. Upgrades Throughout Include Plantation Shutters, Recessed Lighting, MLS#6517305. Atlanta Communities. Tremendous Swim/Tennis Subdivision With Clubhouse And Exercise Facility! MLS#6515578. Realty One Group Edge. Fabulous Finished Terrace Level With Bedroom/Office, Full Bath, Gym, Billiard Room & Lots Of Storage. MLS#6512651. Realty One Group Edge. Great Investment~Rental Eligible After 1 Yr! MLS#6502804. Atlanta Fine Homes Sothebys Intl..